Copper machining can be very difficult, especially when it has not been alloyed. AT Precision has a great deal of experience machining copper in this condition. We provide custom copper machining services for companies worldwide. Copper machining requires specialized machining machinery, trained operators, and engineers with extensive copper machining experience. AT Precision offers all of that and more. Several of our customers' components are made from OFE copper requiring close tolerances and good surface finishes. 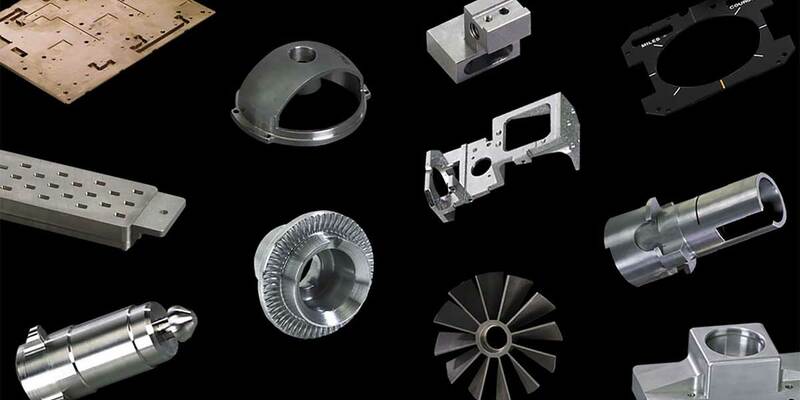 We have produced these parts on a regular basis for decades, including targets, pallets, electrodes, and anodes. Copper is a ductile metal. It is an excellent conductor of electricity and heat, and is very corrosion resistant. Popular copper alloys are C101 (OFHC or OFE), C145 (Free Machining Tellurium) and C172 (Beryllium) copper. All of these alloys still contain a minimum of 99.3% pure copper. Copper is also alloyed with zinc to produce brass and with zinc and nickel to produce bronze. For copper machining pricing, please share details about your project with us. We will provide a no-obligation quotation as quickly as possible.